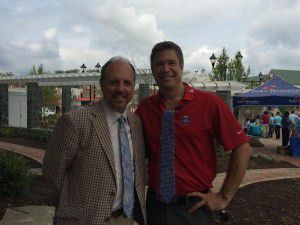 Fox5 News was on a “Zip Trip” today and visited the City of Fairfax. I was able to meet Steve Cheveney, one of the morning news anchors. And, as you can see, he is sporting a tie from our WT Clothiers collection!! Please stop by our shop and mention this posting to receive a special gift!! To see where Fox5 News went within the City, please click on the link below. For more information on where Fox5 News will be on future “Zip Trips”, please click on the link below.